Our NHS Guide provides a comprehensive overview of the NHS, enabling you to fully understand its structure, strategy, policy and plans. 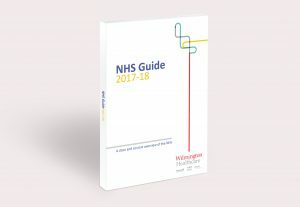 A lot has happened in the NHS in the last six months and our NHS Guide has been fully updated to reflect the changes. The handy A5 guide is your ideal training companion for understanding the current NHS structure, policies, strategies and the challenges the NHS faces to achieve its common goal of improved patient care. Printed and PDF formats available from just £21.95 per copy. To download or order please visit our shop, or get in touch below with one of our specialists to find out how we can support your needs.